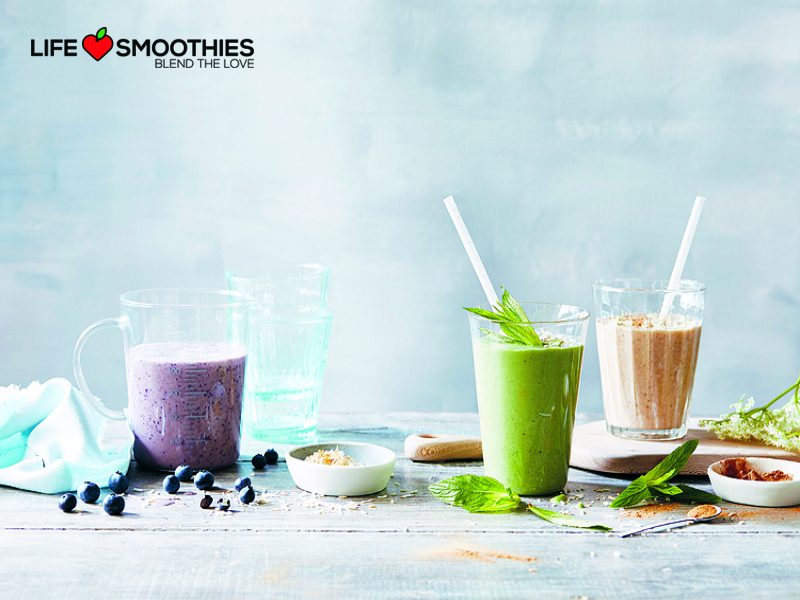 Whether you are hankering for something fruity, have a craving for something sweet – or just need to increase your fresh fruit & vegetable intake – smoothies should be your go-to beverage. A smoothie can be enjoyed as a filling snack, a convenient breakfast option or as a nutritious beverage to boost your nutrient intake throughout the day. What kinds of delicious and nutrient-rich smoothies can you prepare at home? Weight Loss Smoothies – Consuming liquid meals, is a sure way to detox and cleanse one’s digestive system. These low-calorie smoothies are the perfect option to include as part of a balanced daily diet. Opt for low-calorie fruits, such as melon, berries, and papaya, and limit sugary fruits, such as mangos and bananas. Add detoxifying green, leafy vegetables such as spinach, celery, and kale to your smoothie recipe- to feel lighter and refreshed! Ingredient-Themed Smoothies – Based on your personal taste preference, ingredient-themed smoothies can be delicious and fun to create at home. Be adventurous with earthy flavors like beetroot & wheatgrass, or create healthy and sweet flavored treats using bananas, and organic peanut butter. Choose from a wide variety of blending liquids, including coconut milk, soy, or almond, and you can create endless varieties. Health Boosting Smoothies – Health-boosting smoothie recipes should contain power-food ingredients rich in anti-oxidants, like Acai Berries, as well as fruit and vegetables rich in iron and magnesium, like spinach and kale etc. Science shows that many nutrients are easier for the body to absorb once juiced/liquidized- so get sipping on a smoothie. Smoothies are considered a tasty, fun and convenient way to increase your intake of valuable nutrients from fruits and vegetables. The variations are endless, and flavor combinations and recipes are readily available online, and on social media platforms. Get healthy and creative- try making your favorite smoothie recipe today, and say yes to a healthier and happier you!